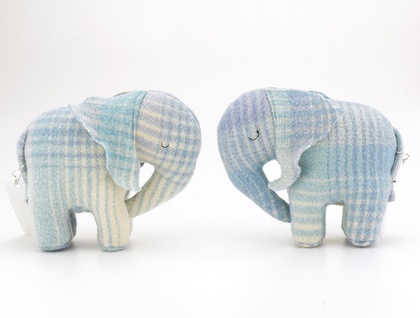 Vintage Blanket Ellies ( baby elephants) are handmade to my own design from vintage NZ wool blankets that I have hand felted. 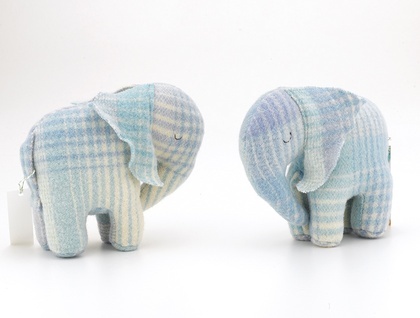 This Listing is for one pastel blue Ellie Toy, Please note I usually have a good stock of Ellies in a wide range of colours so let me know if you would like a boy / girl / or unisex ellie in another colour and I can send you additional photos of other elephant colours that are in stock. 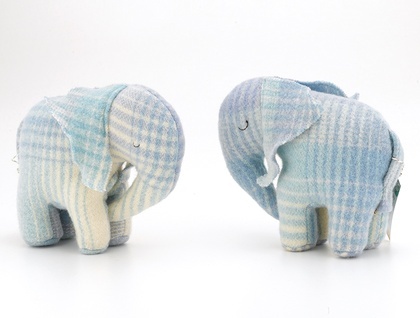 I usually have ellies available in the same fabrics as my hotwater bottle covers.